Linen one-sheet movie poster '52 Three Stooges w/Shemp! 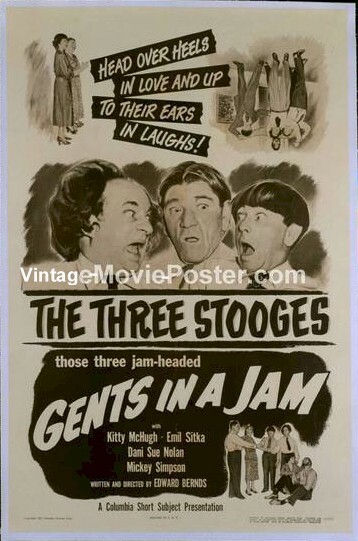 1952 - A very RARE 1952 Three Stooges vintage one sheet with a spectacular images of the boys. .
A real great vintage Stooge one sheet which has been professionally linen backed with exceptional graphics and artwork. With the rise in early Stooge movie posters reaching the six figure value range, this is no doubt a great opportunity and exciting investment.